Students in all classes, created a list of norms or expectations they will need to follow each day in my class. All lists were taken into account and shortened to one list. 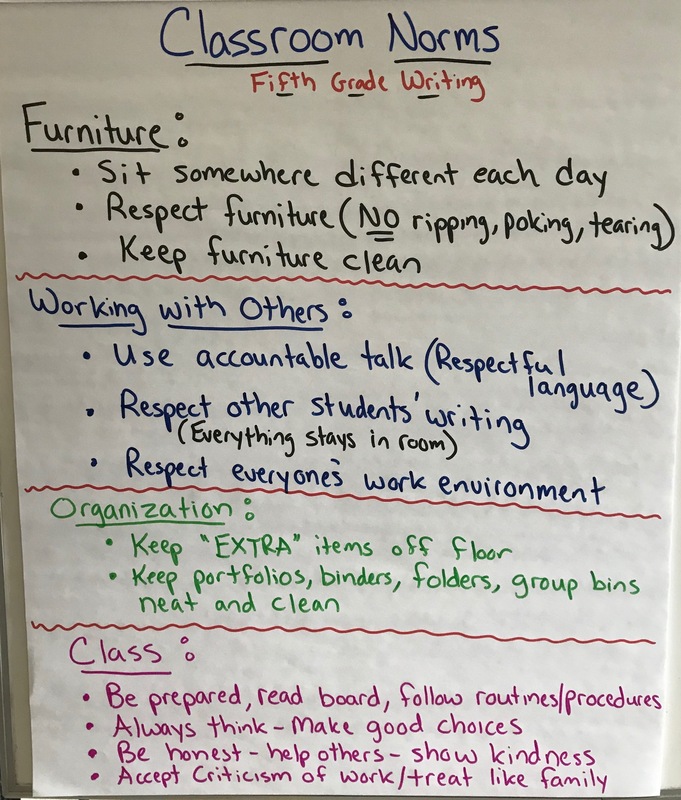 Below is a picture of the norms created by fifth grade students. They are held by these expectations each day in class. It is amazing what students can come up with when given the opportunity.